Finding a dentist that’s right for yourself and your family can make all the difference in maintaining a good dental health regimen. The American Dental Association recommends at least one dental exam and cleaning per year, with two annual checkups being ideal. 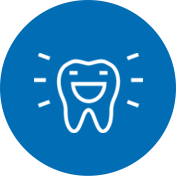 Why not make the experience enjoyable by selecting a dentist you like, who understands your individual needs and can help you achieve a bright, healthy smile? Here are some tips for finding the right dentist for you. Finding a dentist in Vancouver, WA isn’t as difficult as you think. Click here. Location, Location, Location– When it comes to keeping your regular dental exam appointments, convenience is key. Choose a dentist in a location close to your home or office so you don’t have to battle rush-hour traffic or take unnecessary time off work to keep your appointment. This will make you more likely to visit your dentist on a regular basis, and ease the stress of a dental appointment. Ask Around– There’s a reason people say that word of mouth is the best form of advertising- hearing about a great experience at a dentist’s office from a trusted friend or loved one makes you more likely to schedule an appointment there yourself than if you’d just seen an ad or searched online. Getting opinions from your friends can help you make a good choice for a dentist and let you know what you should expect. Ask Another Dentist- If you need a dental specialist such as an oral surgeon, or if you are moving out of town and need to find another dentist in your new city, there may be no better resource than your current dentist. Assuming you like the dentist you currently see, he or she can be trusted to recommend a good dental practice that fits your new needs. It’s good to have the official stamp of approval! 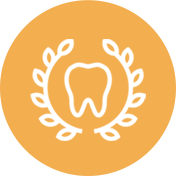 Contact your Local Dental Society– In order to find out which dentists come the most highly recommended, your local or state dental society can be a big help! 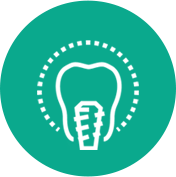 Visit the ADA’s website to find highly recommended dental practices in your area. Hazel Dell Dental Care is Vancouver, WA’s preferred family dental practice, and is currently accepting new patients. Dr. Lyle L. Kellstrom, DDS and staff offer gentle, comprehensive dental care using the most advanced dental technology available. With over 35 years of experience, Dr. Kellstrom is one of the premier dentists in Vancouver. Call today at (360) 693-2592 to schedule your initial appointment!